In order to satisfy customers in the best possible way and to supply also pre-assembled products, Plasgomma has fitted out an internal area as assembly division where all necessary assembly operations, either manual or automatic, are carried out. 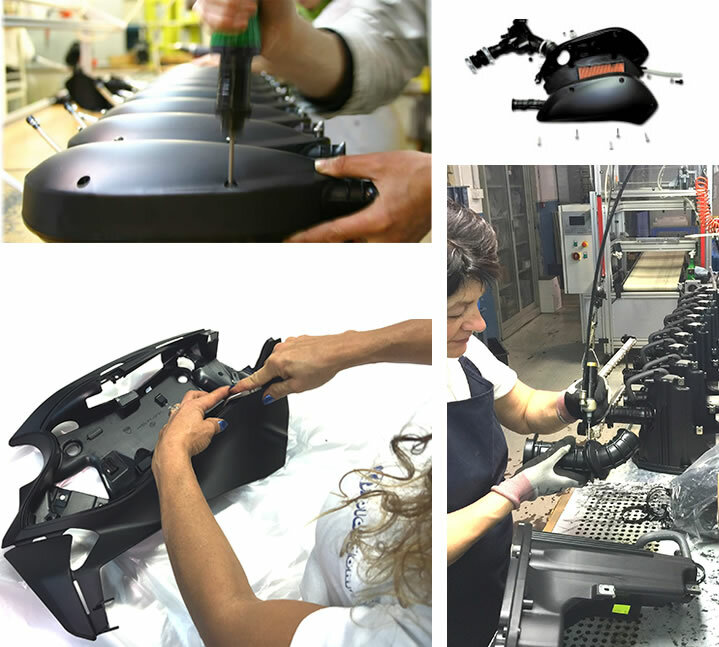 While some parts are assembled by the injection machine soon after injection (pre-assembly or simple assembly), more complex procedures are carried out at the assembly unit where the operators are able to use high technology tools such as: electric or manual screws, ultrasonic welding machines, etc. Some other products whose assembly is so peculiar that cannot be realized automatically by the machine, are manually assembled.